The staff at the Penguin Racing School takes a lot of pride in helping each of students personally. They come from all different riding and racing backgrounds, but most of them are either current or former championship-winning racers. We have taken the time to introduce you to a few of our key instructors. During the course of a Penguin Racing School day we have as many as 25 instructors to work with our students. 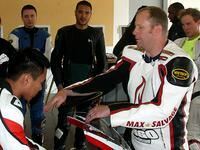 These instructors are selected from an extremely talented pool of CCS riders based upon their riding ability, experience and most importantly their willingness to spend time with our students. We sincerely hope you enjoy your experience at the Penguin Racing School, and welcome any feedback you have after your time with us. Jerry Wood founded the Penguin Racing School in 1973. He has been racing for nearly four decades and is still doing great. His racing resume includes a national championship back in 1977 and regional titles all through the 70's, 80's and 90's. He has worked in the motorcycle industry for his entire adult life and also currently runs J. Wood & Company, the auction firm that hosts the largest annual vintage motorcycle auction in the nation during Daytona Bike Week. In 1984 he authored Basic Roadracing, a manual designed to give a riders a solid foundation to start a racing career. Jerry still instructs at the school and especially enjoys working one on one with his students. 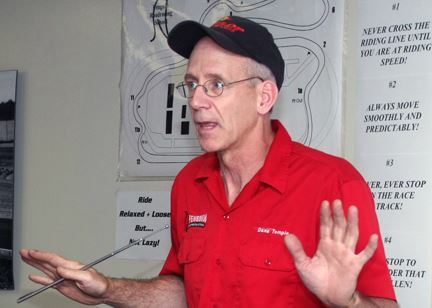 Eric Wood has been the head instructor for the Penguin Racing School advanced course since 1994. He brings two decades of national racing experience together with a background in mechanical engineering to provide keen insights for motorcycle riders of all levels. His riding experience ranges from AMA Superbikes to vintage bikes and everything in between. Eric has won three national racing championships and accumulated 5 wins at the AMA national level. He has won dozens of regional and national CCS championships and set track records at several venues around the country. His unique instructing style is effective in making complex concepts easy to understand and has proven very successful in raising rider confidence levels. 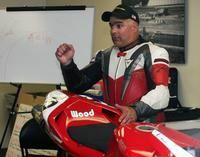 Steve Nogueira has been with the Penguin Racing School for nearly two decades. He is a multi time CCS expert champion and spent several years racing the AMA as a top 10 privateer rider in 600 and 750 Supersport. Steve brings this valuable experience to the Penguin Racing School and loves to work one on one with students during the afternoon portion of every school. Steve serves as the lead basic instructor for all of our NHMS schools. Scott Greenwood has been a lead instructor with Penguin since 2010. 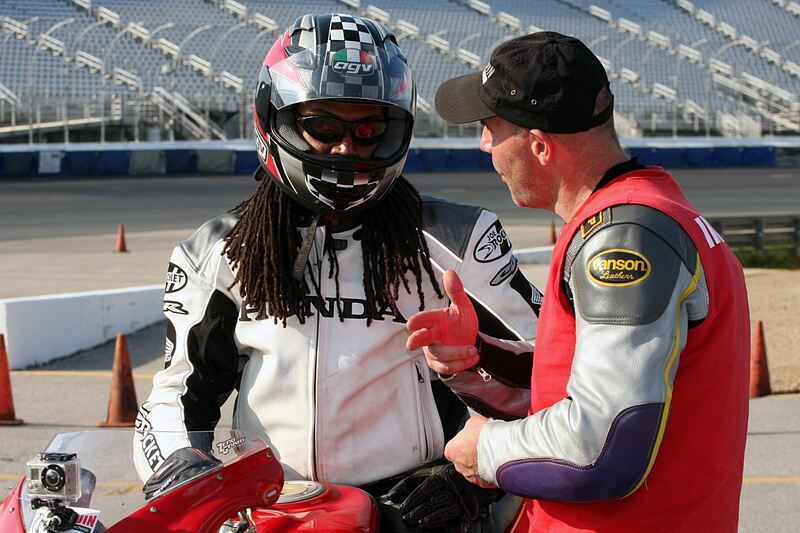 Scott leads the Penguin Track Experience class at NHMS and heads the advanced street rider group at other venues. His credentials make him the perfect fit for a Penguin instructor and he is really looking forward to the opportunity to share his knowledge in the classroom. 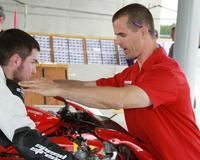 He has over 20 years of racing experience that includes an ASRA Sportbike national championship, numerous top 10 AMA Superbike finishes and 50+ LRRS championships. In addition, Scott has mentored several younger riders during his career and brings immense experience and expertise to Penguin. Jeff Wood is a flat out fast motorcycle racer. He has won national road race championships on GP machines, Supersport bikes and Superbikes. He also competes in top-level motocross, hare scramble and supermoto events. In the past decade he has won 20 national championship titles and was the national #1 plate holder for CCS for three consecutive seasons. At the Penguin Racing School Jeff plays a dual role, both coordinating the rental program and acting as an instructor. Jeff specializes in 1 on 1 instruction during most school afternoons, providing valuable feedback to riders in all groups. Steve Aspland has been working with the Penguin Racing School since the late 70's, and brings a wealth of experience with him. 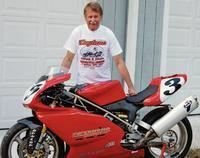 He has raced nearly every class of motorcycle under the sun and continues to ride modern GP bikes to this day. Steve is the key to the organization aspect of the Penguin School and does a great job to keep every school day running smoothly and efficiently. He also serves as the race director for LRRS. John Grush is a welcome addition to the Penguin School staff. He serves as the PR director for the school and also coordinates the new Penguin technology programs that have brought our classrooms into the digital age. John is a former factory supported road racer who raced as a professional in the 80's and also spent several years skiing at the World Championship level. Skip Kelleher is a highly experienced expert class racer at LRRS and coordinates the afternoon instruction for Penguin. He is a fantastic communicator and spends most afternoon riding 1 on 1 with our students. Skip is a friendly face who can really take what he sees and articulate easy ways to make improvements. He's a fantastic asset for Penguin and all of our students! Dana Temple has been with Penguin for over 15 years. His primary role is to take care of the Penguin rental fleet and Penguin rental bike customers. Dana is a very fast expert racer who really understands body position and how to make the bike flow effortlessly around the racetrack. He is always in the Penguin garage during the afternoon riding sessions and is a real hidden gem for anyone looking for advice or some 1 on 1 riding tips. He also makes some fantastic scallops on certain Friday nights! Steve Finkle, Eric Block and Micheal Weyant are key coaches for the Penguin events serving as assistant instructors in the Track Experience, Basic and Advanced courses respectively. This riders bring valuable insight and experience into each classroom and all have extensive riding and racing experience (not to mention some LRRS championships).